The house is in open countryside and also inserted into a settlement with all major services at close range. The location is central for visiting all the art cities of Tuscany: Florence, Lucca, Pisa. The short distance approximately 10 km from Montecatini Terme, also allows spa tourism. The house is located at the foot of Montevettollini, medieval town and about 3km from the Marshes of Fucecchio natural oasis. Ideal for long walks. I recommend for lunch (or dinner) Trattoria Da Remo and of course farmers store BufalCiofi (the best burrata and mozarella). "We spent 10 great days at Casa Tosca. 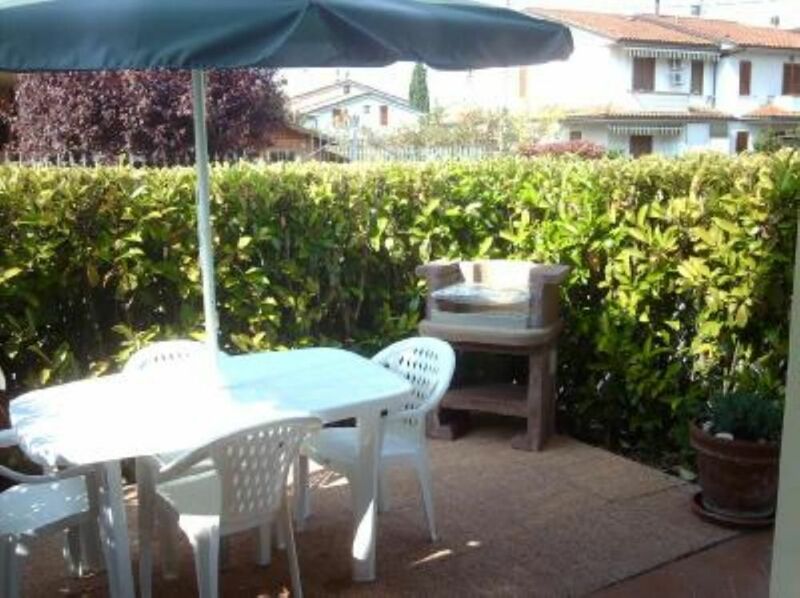 The villa is in the perfect location for sightseeing in this part of Toscany. The accommodation is top standard, spotlessly clean, in very good repair order, with all mod cons. It is home from home. It is supplied with all you need for a self-catering holidays. However, the best part are the owners Angela and Marco and Annalisa their daughter. They are so warm, friendly and welcoming and make you feel part of the family rather than a paying guest. Marco''s pizza is unmatched. The surroundings are very pleasant. It is a quiet area with very gooid access to all the main roads and close to the centre of Monsummano. Go and spend some time there. Highly vecommended." "We had a wonderful stay. Marco and Angela Corsi are very hospitable and helpful. They made themselves available for any requests that we had. Had a problem with the refrigerator and Marco bought a new one the same day. They even had us over for a wonderful Tuscan meal of which the famous bisteca alla fiorentina, just amazing. I recommend Ristorante Il Pirata, walking distance from the apartement, excellent service and food." Accueil très sympathique, maison confortable avons passé un très bon séjour! LA MAISON EST GRANDE MAIS TRÈS MAL ENTRETENUE (a revoir l’électricité,manque lumière hotte et salle de bain , les points d'eau, chasse d'eau qui fuit, les bondes ne fonctionnent pas , machine a laver très encrassée et sale, manque épingles a linge , voir aussi les poêles et autres équipements pour faire réchauffer très sale a vérifier , cafetière cassée ainsi que bac a glaçon a revoir les vélos ne tiennent pas l'air a voir aussi peut être y a t'il des insectes( puces ou punaises) car nombreuses piqures sur les jambes toutes ces petites choses qui font baisser l’appréciation !! DOMMAGE POUR MADAME QUI EST SUPER GENTILLE ET ESSAI DE SE METTRE A LA PORTÉE DE CES OCCUPANTS MALGRÉ LA LANGUE !! LE PROPRIÉTAIRE BRILLE PAR SON ABSENCE ET NE PARLE PAS LE FRANÇAIS COMME DIT DANS L'ANNONCE (juste dit bonjour 2 fois ) j'ai été déçu de son manque d’intérêt envers ces hôtes ce n'est pas digne de paraitre sur le site !! A11 exit of Montecatini Terme. Go for Monsummano Terme and then for Empoli, in area Pazzera turn left on Via Orlandini. The owner is available to come get you at the highway exit. In addition to the golf course there are many restaurants and then there's the Tuscan town of Montecatini Terme for shopping. In the period between May and August the many medieval villages of the area organize parties and festivals. Do not forget also to visit the famous chocolate "Slitti"
Tariffe scontate in relazione alla durata, Tariffe in funzione del numero di persone, Richiesto supplemento per il riscaldamento in base alla stagione, Richiesto supplemento aria condizionata in base alla stagione, Caparra richiesta alla prenotazione, Consegna delle chiavi da parte del Proprietario.